We are extremely pleased to present this early preview of our upcoming 28mm series of high quality resin figures kits. This project has been several years in the making and at this time we are very close to launching it via Kickstarter. We have setup this temporary page just to provide a little bit of information on what we are doing as we are already getting some questions about the project. A new marketing website will be launched in a few weeks that is dedicated to this project and the Kickstarter. 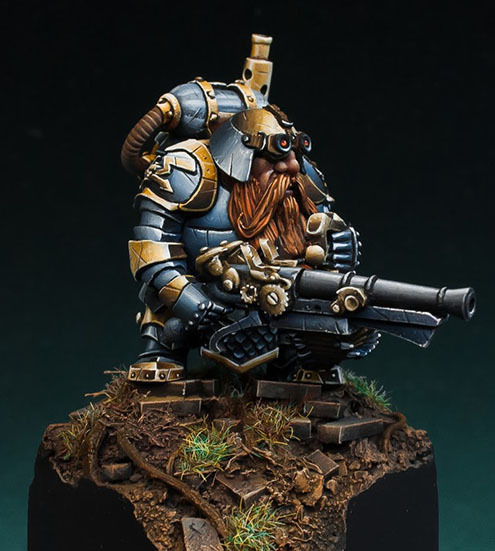 The initial launch will feature over 150 different figures and terrain pieces, each wonderfully sculpted in 28mm and produced in high quality vacuum cast resin. As with everything we do at First Legion, our goal is to produce the finest quality figures we can at prices that are extremely favorable in the quality to price matrix. Simply put, you will not find better figures at a better price than you will on our Kickstarter. 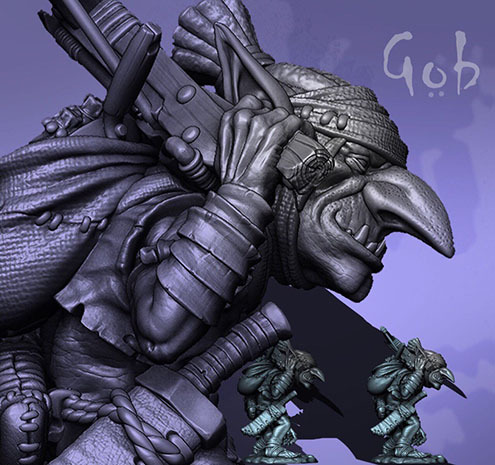 The figures will range from individual character models to full units for tabletop wargames and are of a quality that even the most discerning painters will enjoy putting their brushes to them. So buy a few orcs for your RPG gaming, or buy 12 different ones including a leader, musician, and standard bearer for a full unit for wagames with lots of variety to keep it visually interesting, it's entirely up to you. For now, please see the preview images below to give just a small taste of what's to come. More information will follow throughout April 2019 until the launch of our new website and, finally, the Kickstarter. 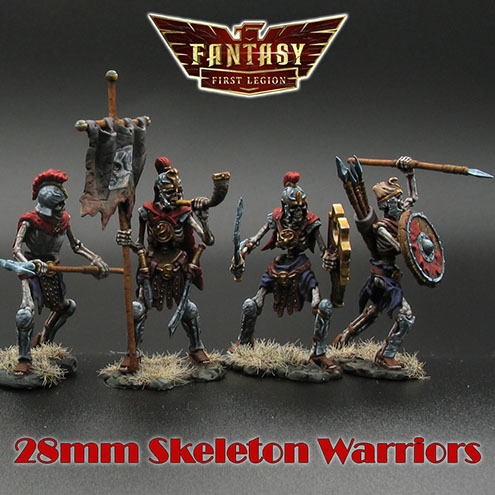 For more information, you can sign up for our email newsletter to the right by entering your email address and clicking the box next to "28mm Fantasy Figures" or by following us on Facebook or Instagram. The Girl and the Dragon Skull - This set along with our other "Femmes Fatale" will be produced as 28mm kits but also as 75mm kits and fully painted figures as shown. Female Warrior. Don't mess with this one, beauty and brawn! 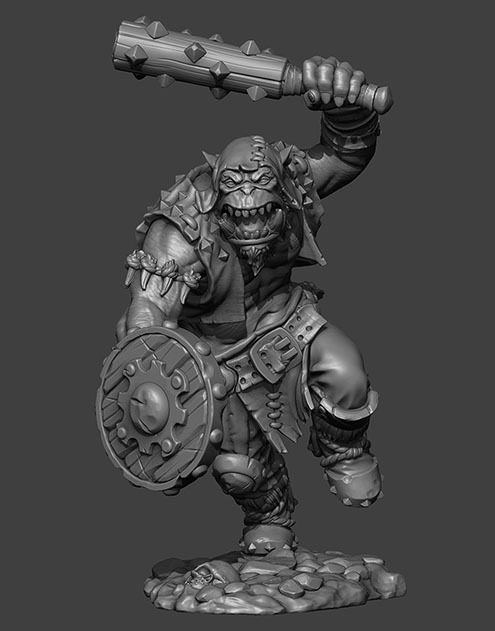 28mm Orc Steel Jaw - He is the leader of our Orc Clan, Steel Jaw's Marauders. A big, bad fellow indeed, as the top dog, he's quite a bit larger than the others. 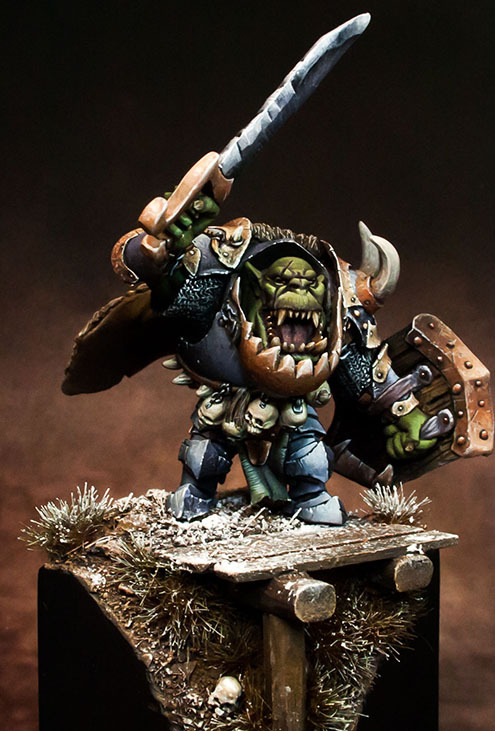 And the same figure cast in our high quality casting resin and fully painted along with one of the other Orc Mauraders. 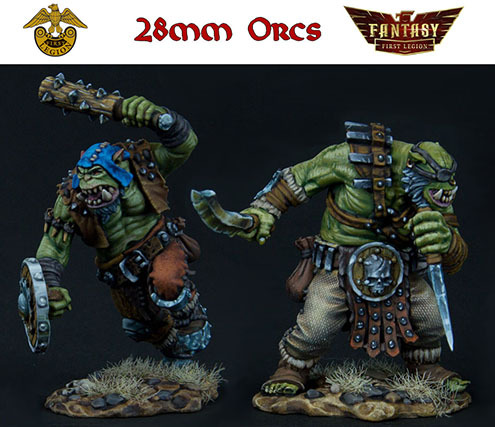 These are just two of nearly 30 different 28mm Orcs that will be presented in our Kickstarter.